To emerge as a Global Leader in the field of Sugar and Specialty Sugar products and to enjoy a mutually sustaining relationship with the people around us and the life encompassing us. Modi Sugar operates its sugar business through MODI SUGAR MILLS and SBEC SUGAR LIMITED. The foundation of the Modi Empire was laid by Rai Bahadur Gujar Mal Modi in 1932 with the opening of Modi Sugar Mills at Modi Nagar. Located in the heart of the sugarcane belt of western Uttar Pradesh, Modi Sugar Mills had an initial capacity of 500 tonne of cane crushing per day (TCD) to manufacture “Plantation White Sugar” or crystal sugar, as is popularly known. The capacity of this mill stands at 5000 TCD at present. In 2001, a 30 tonne-per-day (TPD) state-of-the-art sugar refinery was commissioned to manufacture premium quality, pharma grade refined sugar conforming to Indian and British Pharmacopoeia standards. The refinery capacity has further been enhanced to 200 TPD to cater to the quality conscious institutional and retail markets. The company has also established a plant to produce 'Refined Candy Sugar', the only company in India to do so. Moving ahead, Modi Sugar Mills has started producing a wide array of new and innovative specialty sugar products. The product basket includes Low Calorie Sugar Sweetener, Coffee Sugar, Quick Dissolve Sugar, Pharmaceutical Grade Sugar, Candy Sugar, Sugar Cubes, Icing Sugar, Flavoured Sugar for Tea and Flavoured Sugar for Milk. Renowned as one of the most efficient sugar plants in Northern India, Modi Sugar Mills has achieved the prestigious ISO 9001:2008 & HACCP certification. The plant has been completely modernized and automated, producing 90,000 tonnes of plantation white sugar. Modi Sugar Mills is the first company in India to have drug license to manufacture sugar as per the IP standards. Building upon past experience and incorporating the most modern technology, led to the formation of another plant named as, SBEC Sugar Ltd. (SBEC) in 1998. Located at Baraut in Uttar Pradesh, SBEC is promoted by Umesh Modi Group and SBEC Systems Ltd., UK. SBEC has access to cutting-edge technology in sugar manufacturing while the promoter company SBEC System Ltd. is a global player in project design, engineering and consultancy. In 1999, the plant at SBEC commenced commercial production with an initial capacity of 3500 tonne of cane crushing per day (TCD). Designed for a daily production of 10,000 TCD, this state-of-the-art plant now produces 8000 TCD of “Plantation White Sugar”. Recognised as one of the most hi-tech plants in the country, the annual production of SBEC amounts to a whopping 1,40,000 tonne. To utilise the bagasse produced by SBEC during sugar production, a 12 MW co-generation power plant has been commissioned by its sister concern SI-AL-SBEC Bioenergy Pvt. Ltd. (SIAL). Both the companies are interdependent as bagasse generated by SBEC is supplied to SIAL which, in return, generates power and steam. As power shortage at SBEC amounts to only 2 MW, the surplus 10 MW is supplied to the UPPCL (Uttar Pradesh Power Corporation Limited) grid. The plant features technologically intensive effluent treatment and disposal system, conforming to the most stringent environmental norms. A 60 Kilo Litre per day (KLPD) distillery unit is under construction for manufacturing Ethyl Alcohol. The project is likely to be completed by Oct, 2007. A 24 Mega Watt (MW) power cogeneration plant. 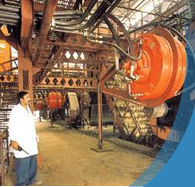 Modi Sugar offers contract manufacturing facilities for sugar and specialty sugar at its ISO 9000:2001 certified state-of-the-art plant of Modi Sugar Mills at Modi Nagar. The R&D at Modi Sugar takes place in close co-ordination with the marketing department to understand the need and aspiration of consumers and market segments. The products are developed accordingly to fulfil customers’ requirements. The focused approach of the company resulted into the development of improved varieties of sugar such as Refined Sugar, Pharmaceutical Grade Sugar, Refined Candy and Pharmaceutical grade Sugar Cubes, as well as innovative products like Low Calorie Sugar, Demerara Coffee Sugar, Flavoured Sugar for Tea, and Flavoured Sugar for Milk. The company has a sophisticated and well-equipped laboratory where experiments are conducted for developing new and better products. 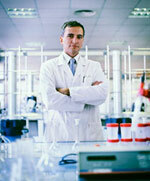 R&D facilities are continually upgraded as well, to meet new challenges. At Modi Sugar, Quality is not an accident. It is a function of determined intentions, sincere efforts, intelligent direction and skilful execution. Strict process control measures are observed at every level to assure Quality at its best. As customer satisfaction is the underlying guiding principle, we have set up the most modern sugar plant and achieved the ISO 9001:2000 certification for complying with the world’s best Quality Standards. As a result, our client list includes top pharma companies and leading five star hotels, known for their stringent quality standards. Home | Know Us | Business Units | News & Events | Contact Us | Sitemap | © ModiSugar. All rights reserved.